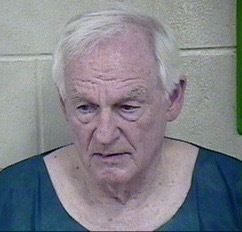 As often happens in criminal cases, the scheduled trial in southwest Missouri of David Jungerman has been delayed. Despite the Kansas City Police Department’s guarded official position regarding Jungerman — that he is not a suspect “at this time” — I believe the 80-year-old Raytown resident is authorities’ one and only suspect in the October slaying of Kansas City lawyer Thomas Pickert. Jungerman was questioned the day of the slaying, but no charges have been filed. The southwest Missouri case, in which Jungerman is charged with attempted burglary and harassment, had been scheduled to go to trial this week. Two developments changed that. First, Judge David Munton decided that another long-standing Barton County case needed to be tried first, and, second, Jungerman was charged last month with several new felonies in Jackson County, somewhat complicating the southwest Missouri case. After the Jackson County charges were filed, Judge Munton revoked Jungerman’s $15,000 bond in the attempted burglary case and ordered him held without bond. Jungerman, however, is entitled to a hearing on the revocation, and that is now scheduled for Thursday, April 12, at the Barton County Courthouse in Lamar, MO. …As you know, my main concern (and I’m sure this is true for many of you) is seeing Jungerman remain behind bars. In the Jackson County case, a judge set his bond at $1 million, and he has been in the Jackson County Detention Center since Thursday, March 8. The fact he has been in custody the last three-plus weeks is a good thing. But if Judge Munton should agree to reinstate or raise the bond in the Barton County case, Jungerman seemingly would have the opportunity to post bond not only in Barton County but also in Jackson County. Remember, Jungerman is a multi-millionaire, and I would think he would be able to come up with $1 million cash bond or the going rate of 10 percent — $100,000 — if he went through a bonding company. I’m sure the delay in the southwest Missouri case, which has been pending since June 2016, is most frustrating to Pickert’s wife, Dr. Emily Riegel, and other family members, including their two young sons, whom Pickert had just walked to school before being gunned down. Pickert was shot in his front yard — very likely by someone firing from a rifle inside a white van — the day after Jackson County Circuit Court officials had notified him the court would be seizing property to satisfy a $5.75 million civil judgment a jury had returned in favor of a homeless man whom Jungerman had recklessly shot. Within the space of a month in 2012, Jungerman shot four people — two in each of two separate incidents — who were only guilty of trespassing on his property. He did not face criminal charges in either of those incidents. In the new Jackson County case he is charged with confronting and shooting at or near a man he suspected of steeling iron piping from his property. Oddly, Jungerman was on the phone with Kansas City police during the confrontation, even when he fired what he later described as a warning shot at the victim. David Jungerman is a very dangerous and unstable man who believes in resolving disputes in his own way, that is, with guns and without police assistance. He needs to remain in custody — now and until he dies. I’m betting he goes nowhere. When the judge in Barton had him held without bond, that was the death knell of his time as a free man. His track record is far too clear to allow him to go free. Indeed, they could argue that he would be a danger to himself and a possible suicide risk if he was allowed to go free. Behind bars is not enough — the Pickert case needs to be SOLVED. Very true, Peg…I haven’t pushed hard enough on that. I hope KCPD and the prosecutor’s office continue to devote plenty of attention to the case. The family and the entire community deserve a satisfactory resolution — charges and a conviction. Congratulations Jim! Today is the day everyone has been waiting for and Jungerman has finally been charged in this case. I believe your dogged pursuit of this case has kept the heat on the prosecutors and spurred them into action. You still got it Jim. Keep up the good fight for investigative journalism. Thanks, Chuck…I will post something later today or tomorrow. I appreciate your commitment to justice being served here.